I hope Madonna and Oprah read this. My nonprofit, the Face-to-Face AIDS Project, has realized many things about making the most meaningful impact with our charity dollars. A lot we’ve learned the hard way, and we’ve made our share of mistakes. But with regards to our program of offering scholarship to orphans (which includes transport fees, pocket money, and room & board where needed), I think we’ve arrived at something transformational. I’d love to share this with you. Money flowing into places where people have no money — well, you better watch out. We gave a $4,000 grant to a rural Malawi community to support a cassava field and a bakery. A year later, we filmed ourselves happily munching on cassava and fresh buns. Seven months after that, we discovered the cassava field wasn’t ours, and the bakery was a sham. Petty corruption, power, and witchcraft were all contributing factors. Other funders realized their grants were mismanaged as well and everyone stopped funding this area. So 40,000 subsistence farmers no longer received any outside help. You could argue that they were worse off now than before we went in. We’ve learned that small grants make it easier for locals to wean themselves off charity. It’s a shorter distance to being sustainable. With small grants, you have a better chance of having locals focus on the project’s success, rather than the project’s dollars. Money where there’s no money is forbidden fruit. It’d be like paying New Yorkers to be polite by dumping a truckload of diamonds in Times Square. Privileged education where there’s no education may not be such a good idea either. Here’s why. In Malawi, most youth don’t go to secondary school. A great many never finish primary school and can’t read or write. We Americans view education as a school, a diploma, an upward motion progressing through university. This is our society’s education. This isn’t what Malawi needs right now. Education in a place where education levels are so low requires thinking of the best next step for that place. Building schools in the thousands of villages is impractical and way too costly. A privileged boarding school can disconnect youth from their communities — it’s two different worlds. Would orphans return to life in a village after boarding school? Would the village want them? I believe the best next step to educating youth must be relevant to the on-the-ground situation, and that means working with the community. It’s similar to my thoughts on feeding children. To feed a child, you must care for the cow. To educate youth, you should focus on the community. Community equals the cow. Even if it isn’t as cute as the child. Arichie, Mike, Lameck (shown left to right) and I had a quick retreat to rethink our orphan scholarship program, which supports orphans and vulnerable children attend secondary school (grades 9-12). We pay for school fees, uniforms, books, pocket and transport money, and room and board where needed. Lameck has been crucial in guiding our community projects to be more self-sustainable. Mike and Arichie went from being our drivers six years ago to heading our Malawi office. All three understand the communities and people with whom we work. We drove 80 minutes from Lilongwe to have a meeting at a place overlooking Lake Malawi. We glossed over our success stories, and focused in on our problems — how some orphans fail their exams, some get themselves or others pregnant, some drop out. Others graduate from secondary school, but, because university scholarships are scarce, simply disappear from our radar screen. It was clear that our orphans feared failure — failure to get good grades, to pass exams, to going to university. We’ve given them the hope of education and the expectation of a life beyond their world. We were wrong to do that. Especially to those who tried hard, but just didn’t have the smarts to excel in school. Take Memory and Gladys, two orphans on our scholarship program. 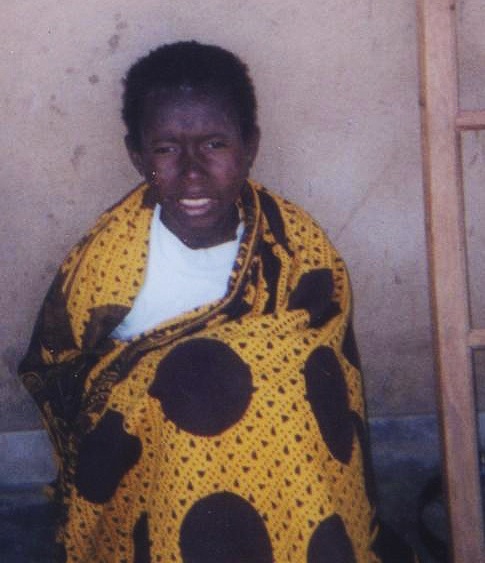 We met Memory a week after she lost her mother to AIDS. (Her father died a few years before.) In a shy, quiet voice, 14-year-old Memory (right) told us she hoped to be an ambassador so she could change laws that weren’t good for Malawi. Separated from her younger sister, Maureen, Memory longs for the day when they can be reunited. For now, Memory is a model student. She just finished “Anne Frank’s Diary,” and uses Anne’s secret code to communicate with friends at school. Memory is inspiring to us — if she goes to university, I’m sure she’ll do well. But because we don’t have a university fund, what will happen to her after she finishes secondary school? Five years ago, Mike carried Gladys (right) in and out of hospitals as she waged a tough, lonely battle against death. After years of illness, Gladys became strong enough to attend school for the first time in her life. She was 16. Gladys managed to do well enough to skip several grades over the next few years. Now Gladys says she wants to be a doctor because she’s grateful to all who helped her at the hospitals. She’s well adjusted, listens to Mike and others, and is beginning to hope for a happy life. She’s twenty now, and she’s a lovely young woman. But Gladys hasn’t advanced beyond eighth grade. If Gladys drops out of school, will she simply disappear? If we had unlimited funding, we could keep Memory and Gladys in school, along with the countless of other impoverished youth in Malawi. We don’t, of course, and dropping wads of money isn’t a solution in any case. But how could our scholarship program really help Memory, Gladys, and others like them? As we discussed this over lunch, some cows lumbered over to drink at the swimming pool. Of course a boy came bounding over to shoo them on, but not before we were reminded of community and had come up with a new definition of education and clarified what success meant. Call it an enlightenment moment. Education isn’t about how much science or math you know, nor is success about grades, diplomas, or moving on to university. What we’re doing is recognizing that we’re in Malawi, and not the U.S. The next best step here in Malawi is for youth, and their guardians, to learn to love learning. To nurture a mindset that finds reward in raising the quality of life in their communities. There are many reasons why orphans fail at school — they’re busy working at home or in the fields, they’re health compromised, they’re lonely at school, they just aren’t the brightest of students. If our orphans drop out, we want them to know that they can remain in their villages and be one of the few people who can read or write. They can use their creativity to help their villages help themselves. They can use their minds to find joy in discovery. In close association with sending orphans to school, our new scholarship program utilizes the power of youth clubs to bolster students who are in school, and to support those who have left. In these clubs, we offer guidance, tutoring, confidence building, volunteer opportunities, and vocational training. Through various activities, we reinforce their connections to their villages, and facilitate ways for them to engage in community service. This also raises their status in the eyes of the community — so in effect, we’re turning the discriminated into role models. The youth clubs work side-by-side with the orphans attending school, complementing academic studies with practical help and experience. The clubs also give orphans a forum to discuss what’s on their minds, and a place where they feel special. We aim to keep our former students connected with our clubs as long as possible — and we anticipate they’ll continue the friendships they’ve developed in the clubs. Over time, the clubs will help us be sustainable, as alumni take leadership roles in our projects or support us financially. The clubs, which operate on a small budget, serve as an investment in our own programs. Our school/youth club program requires minimal funding, strengthens students’ ties to their communities, enables them to help each other, and doesn’t abandon them after they leave school. Madonna and Oprah, I agree that your schools could nurture future leaders of Africa. But Mike, Arichie, Lameck, and I believe that our program can also produce good leaders, and at all levels of society — community volunteers, village chiefs, charity workers, teachers, nonprofit directors. At $250 per student per year, our program can touch so many more orphans. From what I’ve read, 400 girls were to be enrolled at Madonna’s $15 million school. Oprah’s school opened for 150 girls, reportedly at a cost of $40 million. Per student, our program costs one-half of one percent of Madonna’s school. Sixty thousand girls could benefit from a $15 million scholarship fund. I know it’s not apples to apples, but you get my point. After Memory (right) finishes high school, she’ll continue with our alumni youth club, which will expose her to working in community development. Not only will Memory gain grassroots experience, she’ll also have more opportunities to meet people and organizations that might offer her a university scholarship. And Gladys (left, with Mike) can drop out of school if she wishes. We’ll use the alumni youth club to provide her with opportunities to volunteer in community health services. She might then go on to live and work in a community where she can become part of the community. And of course Gladys will still be a part of our Face-to-Face community as well. She’s family to us. We outsiders can help Malawi’s youth build confidence and nurture a mindset to think creatively and compassionately. We can facilitate strengthening ties among themselves and learning from each other. And we can emphasize sustainability and self-reliance. Yet I’d be foolish to say I know what’s best for Malawi’s one million orphans and vulnerable children. But this I know: Only Malawians can lead Malawi to a better future. And the more youth — both girls and boys — who grow up believing that, the more likely that Malawi’s future will be driven by compassionate, dedicated youth who believe that happiness can be found right at home. So this I request from you both. Please give the tens of thousands of Memories and Gladys a chance at helping them make their villages and cities exactly the place they want to be. And that place may not necessarily be in our image.